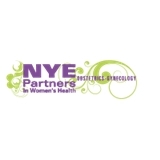 Nye Partners (River Forest) - Book Appointment Online! Dr. Whitmore was very professional and easy to talk to. Great bedside manner. Nothing but good things to say about Dr. Whitmore. Only downfall of the office was the wait time.